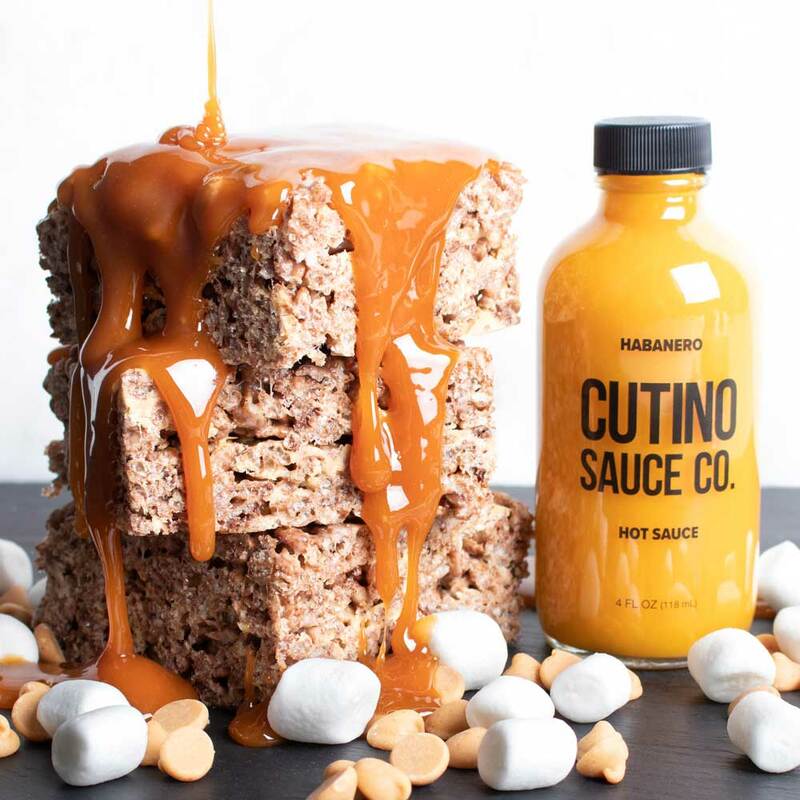 Habanero Caramel Cocoa Rice Krispies - Cutino Sauce Co.
1. Melt butter and slowly stir in bag of marshmallows. Once melted stir in cereal and chips until fully incorporated. 2. Spread evenly on a greased 13×9 baking dish and set aside to cool. Cut into desired size squares. 3. In a heavy bottomed pot add sugar and water and cook on high. Once the mixture starts to brown, add heavy whipping cream, butter and habanero sauce. 4. Let the mixture cool until the desired consistency and drizzle over the squares.